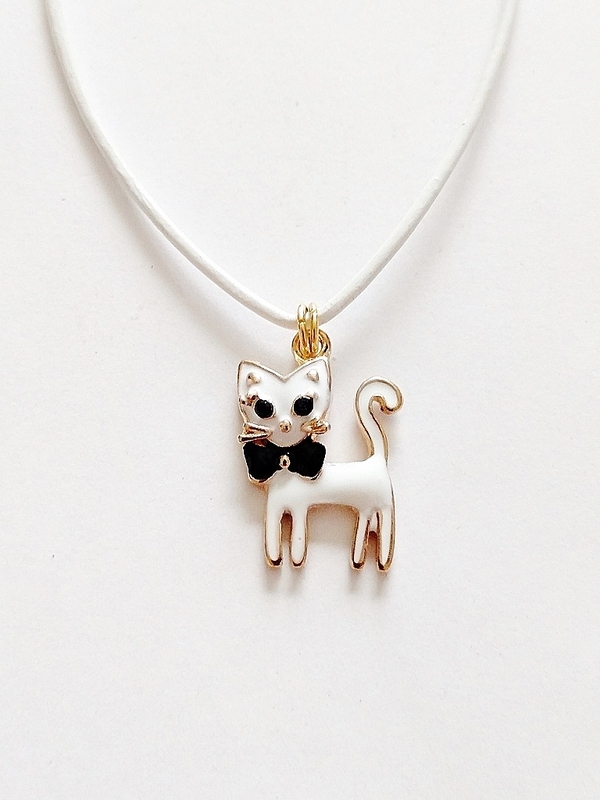 Indulge yourself or a loved one into this very cute White Cat Pendant Necklace, great fit to wear on a Beach and many other occasions. It is gorgeously crafted from Gold tone metal, painted in White and Black Enamel, and two small Black Crystals making Cat's Eyes. The Pendant freely moves on 17" White waterproof cord. The Cat Pendant is approximately 3/4" tall. Designed and made in Europe.